Post-Cold War paradigms and their application to Myanmar have been in play much longer than what is normally acknowledged. Expectations that a popular, democratic uprising in the late 1980s and early 1990s would replace the former military-socialist government of Ne Win were no doubt generated by popular movements in Eastern Europe and expressions of “people power” in the Philippines and South Korea. Like the domino theory during the Cold War, new expectations that liberal-democracies would organically replace authoritarian regimes became the dominant trope. 2 Developments within Myanmar have been read within the context of democratic ideals, human rights, elections, and liberal-democratic institutions, providing both the terms and the perspectives through which change and continuity have been assessed. 3 As a result, the last twenty-six years of Myanmar’s political history has been understood through a post-Cold War narrative framework, creating a historical disjuncture between the SLORC/SPDC governments and the reforms initiated by Naypyidaw in 2011-2013. President Thein Sein’s domestic and international reforms evoke comparisons with the “sudden” transformations that occurred in the Soviet Union under Mikhail Gorbachev. Thein Sein’s association with Gorbachev has also created the impression that the success of his reform campaign rests largely on his personality and political will, a perspective that limits our attention to the agency of particular individuals rather than the broader processes under which his administration took office. 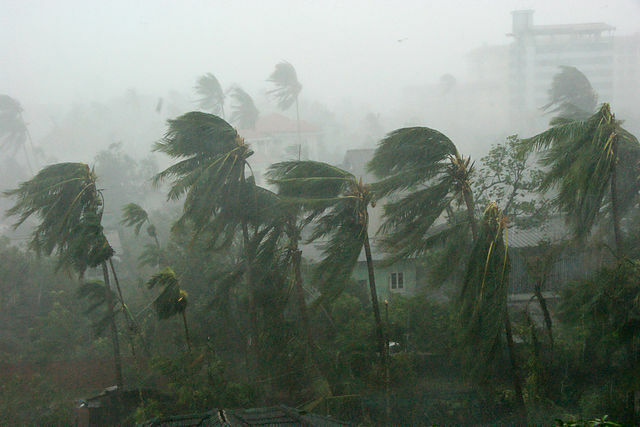 The media has particularly connected political change in Myanmar to particular individuals such as Daw Aung San Suu Kyi—who has come to represent the very idea of political-social change. By projecting President Thein Sein as a figure of change, observers may have complicated the picture a bit, but they have overlooked the range of different stakeholders, interests, and factions who have competed for the nation. The military’s role in the broader process began to fade from public view as the government’s civilian identity became much more visible. Indeed, it was crucial that the current administration distanced itself from previous military governments in order to enable Western nations to recalibrate their relations with Myanmar. By late 2011, several Western nations joined ASEAN and other regional partners in publicly recognizing the government’s efforts to liberalize the political landscape, negotiate peace-settlements with ethnic separatists, foster political reconciliation, and reintegrate the economy into global markets. 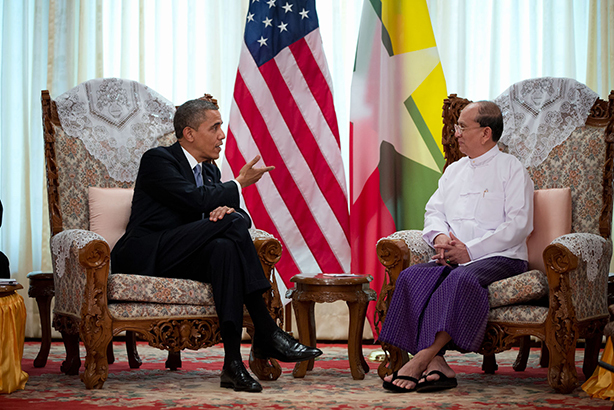 Following the release of Suu Kyi from house arrest, her eventual election into parliament in April 2012, and the momentous visit by President Barack Obama, many former detractors began to openly support the reforms by the Thein Sein administration. The international media, long-time critics of the Myanmar authorities, followed suit and began to present the once “rogue” military nation in a more positive light, emphasizing the efforts of its civilian government and reformist president. By early 2013, it was clear that Myanmar was opening from within and from above, though muted suggestions still lingered that the ill-fated sanctions program motivated the transformation. Regardless, most of the economic sanctions that were levied by the West in the early 1990s had been lifted, thereby creating an opening for waves of investors from all different sectors to tap into Myanmar’s vast resources, skilled labor, and markets. “Myanmar Mania” was further promoted by the worldwide tours of high-ranking officials within the government, including visits by Thein Sein and Suu Kyi to East Asia, Europe, and to the United States. The image of Suu Kyi finally receiving her Nobel Peace Prize (after a decade of house arrest) and later accepting the Congressional Medal of Honor in Washington D.C., seemed to signal to many who understood the country only through her experiences that a long chapter in Myanmar’s modern history had finally turned a page. This shift in the perception of Myanmar from a closed pariah state to an emerging, more open democracy did not come without criticism. Long-time opponents of the military government, governments in exile, and advocacy groups continue to label the changes as cosmetic. Democracy advocates point to the constitution’s guarantee that the military retains twenty-five percent of the seats in the national parliament as indicative of the inherent flaws in the system. Government officials readily admit that factionalism and personal interest, evident in both the public and private sectors, threatens the implementation of these reforms. A poor infrastructure stemming from the combination of financial mismanagement and economic sanctions highlights the lack of capacity within the government to deliver on many of these important changes, especially to rural communities who make up seventy-percent of the population. Ethnic resistance and communal violence (both long-standing features of Myanmar’s socio-political history) continue to complicate the dynamics behind the reform processes initiated by Naypyidaw. Some foreign advocacy groups and members of the media have attempted to assess the prospects of Thein Sein’s overall reform agenda and the government’s overall commitment to democratic change by its handling of particular immigration issues in Rakhine State, especially those concerning violence against domestic Muslim communities and the so-called Rohingyas. Critics connect the viability of the government’s broad reform program (that also focuses on poverty alleviation, economic investment, health care, education and infrastructural development) with the particular and historically complex challenges associated with the politics of identity (that will take generations to resolve). 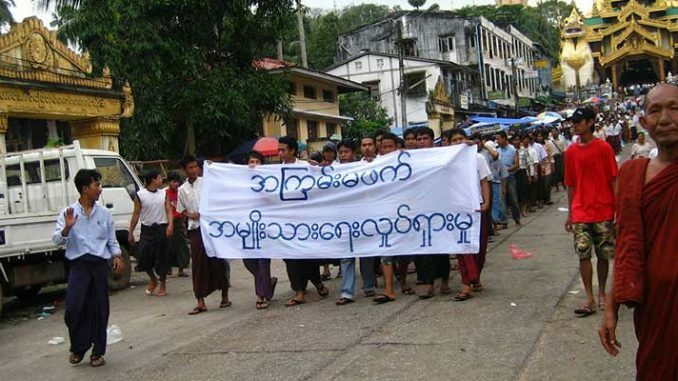 Although connecting the success of the reform process with the government’s ability to resolve ethnic/communal tensions oversimplifies complex dynamics on the ground, activists are underscoring the fact that different communities, such as those in Rakhine, Kachin, and Karen States often have different ideas about the future of Myanmar that are not always aligned with the views from Naypyidaw, Yangon, or Mandalay. With international businesses investing heavily in the “new Myanmar”, the authorities have had to tread carefully between restoring order in these conflict zones while maintaining the restraint of a democratic government. While the general perception of the Myanmar government might have changed since 2011, the internationalization of its domestic affairs has not. Internal dynamics continue to be debated globally but often without the benefit of local context and meaning. Due to the continuing influence of post-Cold War perspectives, developments remain detached from their local contexts and in turn inform the types of questions being asked. The “startling” and “sudden” changes that characterize Myanmar’s Glasnost are often assessed within the context of 2010, rather than 1987, when Ne Win first acknowledged the failure of the country’s socialist policies and the need to reintegrate the nation’s economy into the global market. 4 Broadening the perspective within which the recent reforms have taken place and stepping away from the Cold War paradigms that still inform our assessments may provide a more complex reading of current events. Conventional understandings of contemporary Myanmar history are often structured around events and images that frequently include: the 1988 student uprisings, the 1990 elections, the role of Suu Kyi, the dislocation of ethnic minority groups, the so-called Saffron Revolution, Cyclone Nargis, and the “flawed” elections of 2010. Most mainstream media, activist, government and scholarly discussions were based on these narrative elements that presented the last few decades as a struggle between a weak democracy movement and a powerful military dictatorship. Against the backdrop of the end of the Cold War and political transitions in Eastern Europe and in other parts of Asia, Myanmar’s democratic experience was seen to have stalled, due to the efforts of a dictatorial regime that wanted to hold on to power as long as it could. Given this view of the past few decades, the reforms introduced in 2011 would very well appear to be “startling” as little attention to internal processes of integration and reconstruction would have pointed to the emergence of a reformist government. Yet, this same period might be seen as a period of “long-reform” exemplified by the government’s convening of constitutional convention to write a constitution, conducting a national referendum to ratify the constitution, holding general elections, and finally forming a government and other constitutionally mandated bodies. Articulated in the seven-step “Roadmap to Disciplined Democracy” that was formally announced in 2003, these steps were part of a broader blueprint that directly shaped the government that emerged in 2011—but few took these preparations seriously. While sanctions isolated Myanmar from the economies and markets of the West (at precisely the time it had hoped to reorient its economy), military authorities instead turned to their regional partners within ASEAN, East Asia, and the Middle East. 5 Most significantly, in the domestic context, it was also during this two-decade period that seventeen cease-fire agreements were secured with ethnic separatists who had been fighting a multi-faceted and divisive civil war since 1948. Later in 2012, reconciliation was punctuated by a key agreement with the Karen National Union and several of its military wings, ending one of the oldest insurgency campaigns in Asia. From this perspective, the period from 1987-2013 might be regarded as a difficult and uneven period of reconciliation, reconstruction, and reform that finally came into fruition after nearly fifty years of a long civil war. Many assessments of the recent reforms in Myanmar have associated them, directly or indirectly, with the Glasnost that signaled the end of the Cold War. This perspective, while helpful in connecting the events in Myanmar with processes elsewhere in the world, does so at the expense of understating local patterns and priorities. The manner in which the Thein Sein administration has been conceptually disconnected from the initiatives of the SLORC/SPDC obscures the uncomfortable fact that the celebrated reforms we are witnessing today had their origin in the long reform program of the earlier military governments. The often-criticized “Roadmap to Democracy” was actually implemented in the end, despite being discredited by the very governments who have applauded the current transformations. A post-Cold War approach to Myanmar’s opening might overlook an important continuity, as recently argued by Yoshihiro Nakanishi. The formation of a hybrid civilian-military government might not be an abrupt departure from the past, he says, but the continuation of a system that was designed to ensure the stability and position of the military elite. 6 Fears of hardliners “turning back” the reform process would seem to be unfounded—the military has been embedded and invested in the reforms from the beginning.